So you roughed up Rabblefroth pretty good last week, eh? Apparently, you knocked his massive backpack over and forced him to unload a bounty of new harvest-themed seasonal rares! 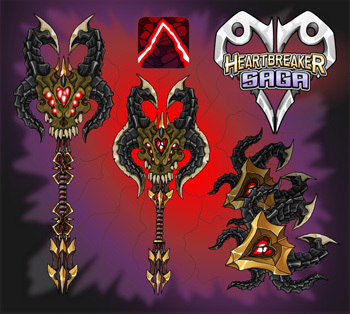 Since we were strapped for time, we asked the kind artists at AQW to lend a hand and we received enough assets to create a veritable cornucopia of new weapons! 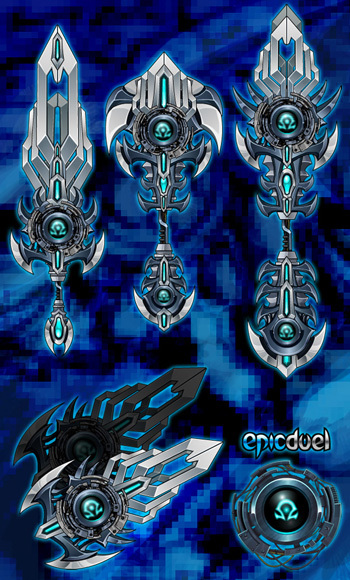 We tried to add enough EpicDuel flavoring to make them appear uniquely dangerous, while retaining that festive holiday feel that AQW artists do so well. Visit Rabblefroth in the Wasteland to inspect his holiday wares before the Harvest ends and the cold winds of the North descend upon the citizens of Delta V.
That's right! 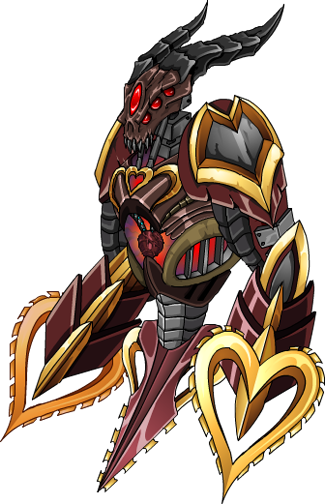 The cuddly-but-deadly creatures from Frysteland are alive and well and will be returning to EpicDuel this December. There's no better way to rub this oversight in Alydriah's face than by wearing it on a slick navy blue t-shirt. *Shirt logo colors are not finalized. We are still working with the printers to get the best possible quality. 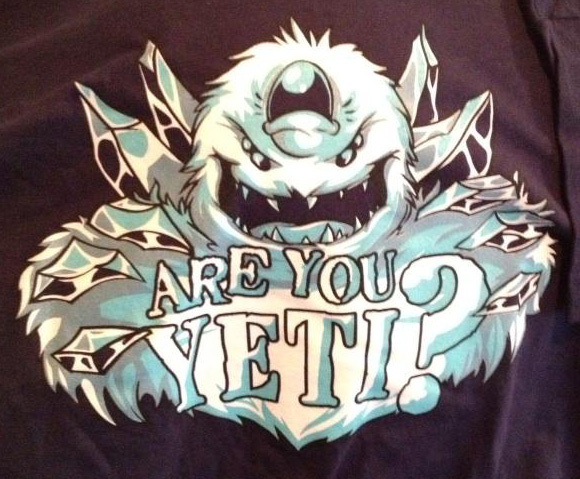 Look for the "Are You Yeti?" shirts in HeroMart within the next few weeks. 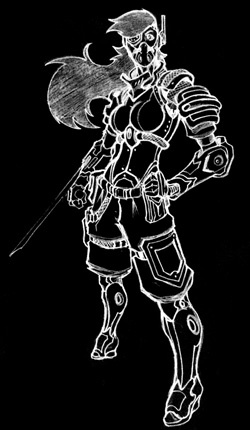 Be sure to follow Faith's Twitter for ongoing developments! 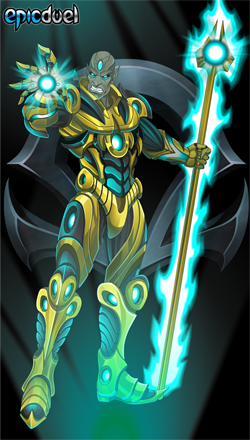 Note: Today's update is not Omega. This section of the DNs is a preview of our current progress on Omega. 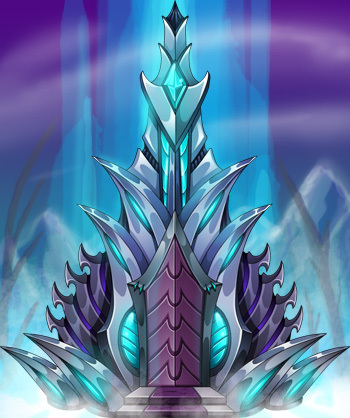 As part of the Omega release, we will be returning to the frozen tundra of Frysteland to check in on Alydriah and her latest plans for the region. 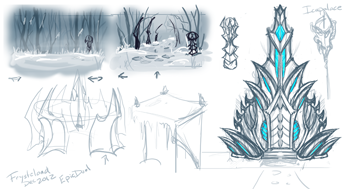 Check out some of the awesome concept art Charfade has been working on as we prepare to revisit this arctic wonderland. I've seen a lot of questions on the Tweetbooks and Facespace about the purpose of these class designs, and I will clarify right now that they are not new classes, but revamped versions of the base classes (Hunters, Mercenaries, and Mages). This is to create a better experience for new players and make the game feel fresh again for veterans. 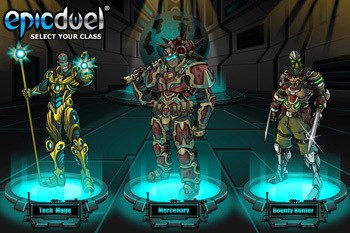 Balancing 6 classes is no simple task, and we would rather tighten that balance than add 3 new classes. Plus, we feel it would be much more interesting to increase the diversity of play styles for all the existing classes so a Tech Mage plays completely differently from a Bounty Hunter and so forth. One way we hope to achieve this is by eliminating or modifying overlapping skills. We hope to make several changes in the Omega update that will make this diversification easier to implement and balance which we will elaborate upon as more details are finalized. That's all from me for now. Happy dueling and Happy Harvest! Be sure to take time and reflect upon all that your are thankful for and cherish those close to you! Hi EpicDuelists, I know that these DNs are a little later than usual, but that's because you already know most of what's coming from last Friday's DNs. However, this post should help fill in the blanks and inform you on some exciting new additions! Let’s get right down to it, shall we? 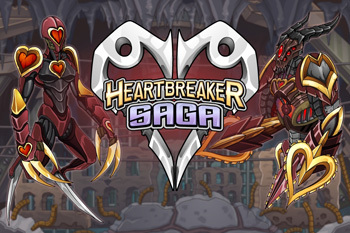 Last time, Nightwraith introduced the mechanisms by which you’ll be able to crush your opponents’ side with munitions either purchased from an Armory Bot or dropped from Yetis and Krampuses during battle. 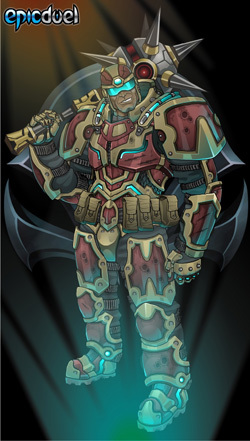 When you join the war, you’ll start out as a Frysteland War Grunt, but you’ll be able to rise through the ranks to become a Frysteland War General! You’ll be able to earn a variety of achievements, including the elusive Frysteland War Hero badge (renamed from Most Wanted), or the Bombadier achievement! You can check out your personal contribution at any time by visiting your alignment's War Hero board. This will give you your own personal score so you can see how you stack up against your friends! This time more than ever, the fate of Frysteland and Delta V hang in the balance! You’ll be seeing some new faces in Frysteland this week, many of them being Krampuses. Ylwa the Demon Rider: The Beasts corrupted by the Outsiders are still Beasts, according to Ylwa. 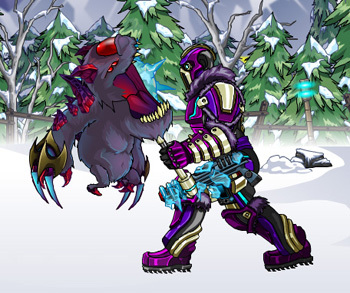 But it takes a very special breed of BeastRider to bond with a corrupted yeti, and Ylwa is that kind of BeastRider. Since that horrid woman started doing... whatever she did... to the Beasts, they’ve been harder to train, more horrible, more like beasts. But Ylwa is never one to back down from a challenge, and she Rides a Beast the Outsiders call a “Frost Demon”, but Ylwa knows the Beast’s name is Maia, and she holds some sway over the other Hazards. 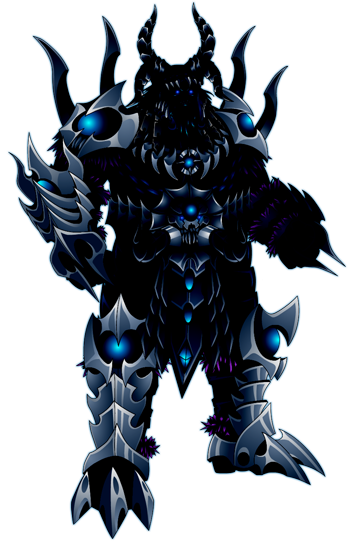 Fenris the Vicious: Fenris is the large, violent, wolf-like Krampus Champion. 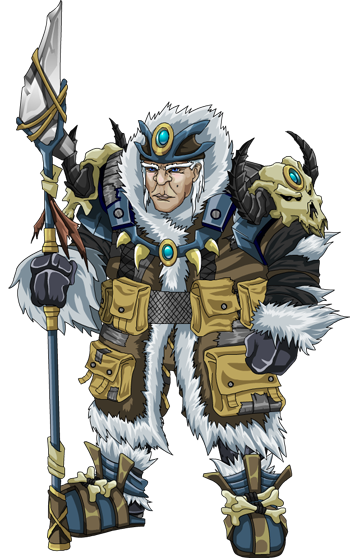 He has slain countless enemies, and his name is feared among the Arctic Guards, as well as among the Flatlanders- the name the Krampus have given Snork’s people. 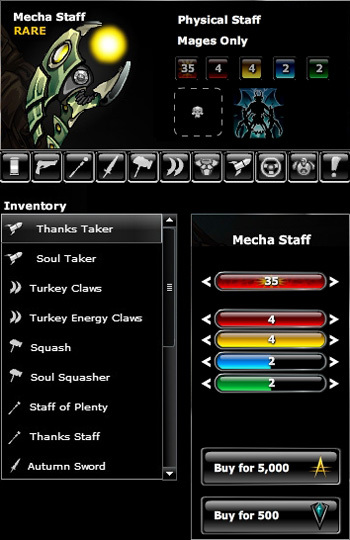 As a special present for all of our players, everybody is getting 10 FREE inventory spaces! You get inventory! And you get inventory! Everybody gets 10 inventory spaces! We will still be working on ways to conserve inventory space, don’t worry. But this might tide players over for a little while. 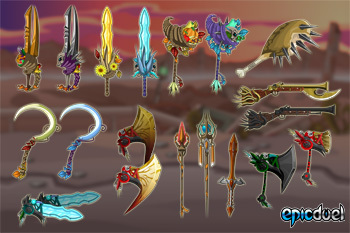 For those who just can't wait to stockpile rares, we're raising the inventory cap to 120 items! The smallest insects on record are the tiny, delicate fairyflies, with some species even smaller than a single-celled Paramecium. These tiny little insects are parasitic wasps, who lay their eggs in the eggs of other insects, and have very unique nervous systems with neurons lacking nuclei to accommodate for their small size. They earn their nickname from their distinctive wings, which are fringed with tiny delicate hairs called setae. 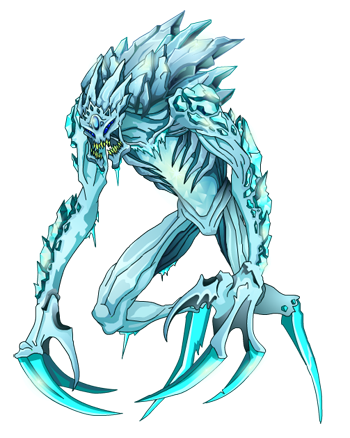 If you follow our Fearless Leader Titan on Twitter, you saw he spilled the beans on the name of EpicDuel’s Winter Celebration: Juloffenblotten! 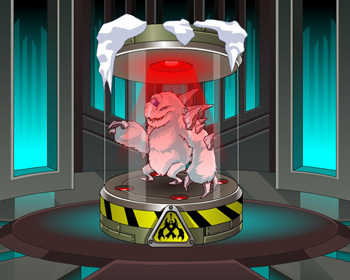 Citizens all over Delta V are preparing for the holiday filled with joy and cheer, and the Krampus traders will be trekking southward from their northern mountain homes to sell their wares to Delta V’s citizens, including the adorable baby yeti pet! I want to clear up some confusion about the name of the celebration. I am speaking not of the origin in-world, but my creative process. The term “Juloffenblotten” is Scandinavian in origin- the word itself comes from “Julofferfest” which refers to the Yuletide celebration, and “blot” (pronounced like “bloat”) which is a Swedish word referring to a solemn and significant celebration or feast. 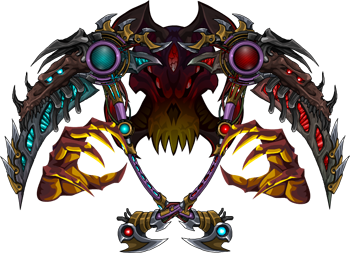 Nightwraith and I used Scandinavian references while brainstorming the celebration- the Krampus being one example- and we wanted a name that distinguishes that EpicDuel does not take place in the AQW in-game universe. 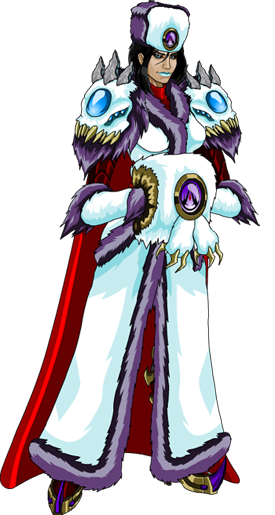 Delta V is not Lore, and her citizens do not celebrate Frostval. There was some speculation that the name was in reference to something with extremely horrific implications, and I can assure you that this is not the case. One of the happiest times of the year, Juloffenblotten is a time for family, friendship, and gift exchanges! 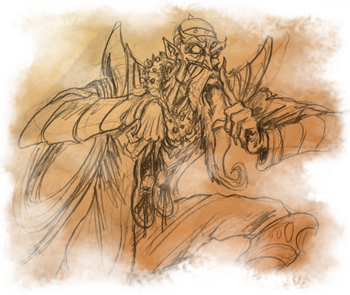 An element you might recognize from your own planet is the figure of a magical bearded man, who breaks into your house at night and rewards children for their good behavior with gifts. Who is this mysterious gift-giver? It has to be Titanfraggr! Titanfraggr, as any child raised on Delta V will tell you, rewards good children by filling their shoes with copper wire and lute berries- a very rare fruit that grows around Titan’s home. They are not tasty, but are high in nutrients. If, however, a child has been bad, Titanfraggr will replace his or her shoes with rusty bolts and bitter orange rind. I already mentioned that the Baby Yeti will be sold by Krampus traders after Wednesday's release. 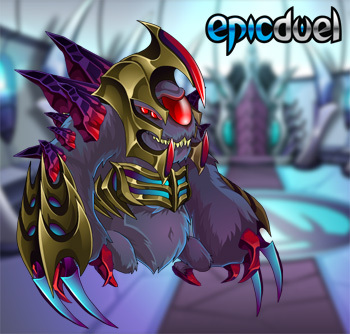 He will work in battle as a bot, taking up that slot in your inventory (although if I chew on Titan’s ankles enough, he MIGHT eventually be convinced that the Baby Yeti needs to follow you around in-world as well), and his special attack will be particularly effective against support builds. See, this baby Yeti is teething, and needs to chew on something to soothe his pained gums. The most convenient thing is, of course, your opponent’s bazooka. The baby yeti will have a varium cost of 1900 Varium, with an as-of-yet undetermined credit price. 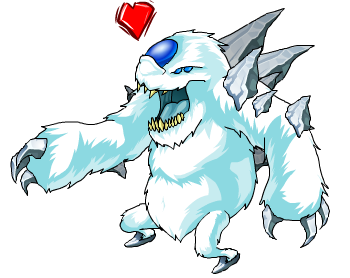 However, the baby yeti will not be the only bot offered during the Yule season, so keep watching this space for more information! 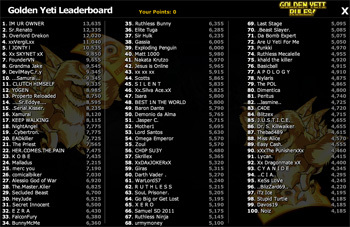 We’ve become aware of several bugs and we’ll be rolling out fixes for these issues, such as the war kills leaderboard reading “fame” instead of “war kills”. 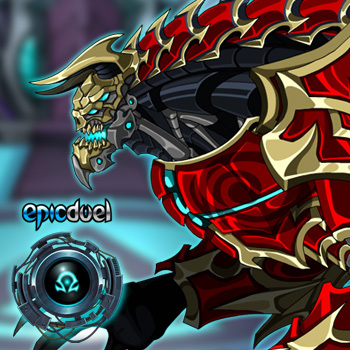 We’ll be continuing to translate EpicDuel into Portuguese and we hope to have the game translated into Spanish shortly after Thanksgiving. 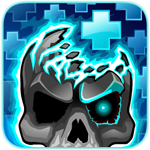 I promised you zombies, and you’re getting zombies! Insects infested by mind-control parasites! The cordyceps are entomopathogenic funguses- that is, they live inside and off of insects. The cordyceps are a particularly interesting group of funguses due to the fact that they are able to control the behaviors of their insect host. Ophiocordyceps unilateralis infects carpenter ants, and takes over the ant’s brain. The victim will climb up a blade of grass, and latch on with her mandibles- a phenomenon described as her “death grip”. There she will stay until she dies and the fruiting body of the fungus bursts out of her head. There are other organisms that are able to control their host’s behavior. Parasitic hairworms that infect grasshoppers force the insect to commit suicide by drowning themselves, leaving the worm safe to swim from the host’s drowning body. Lancet liver flukes control ants by forcing them to climb to the top of a blade of grass until they are consumed by the fluke’s preferred host. Gypsy moth caterpillars infected by their baculovirus are compelled to climb to the tops of trees in the rain, and subsequently explode, spreading the viral particles. 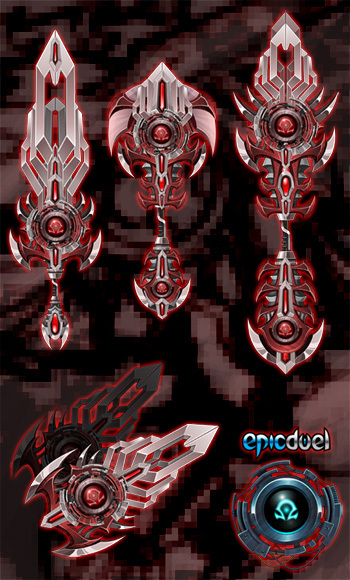 Hello there, EpicDuelists. First off, we’re not sure how much in the way of content we’ll be able to release for you this week. 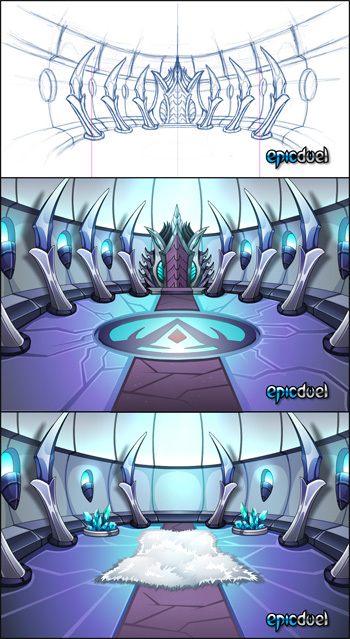 The first update in December is the start of a HUGE EpicDuel event, so we’re all working really really hard on it! Here’s what’s coming up soon! We’re working on continuing to improve support in-game for the Portuguese language, which will lead to a better gaming experience for our international players. 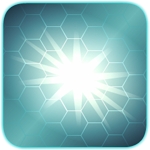 In the coming weeks, we’ll also be working for improvements in the inventory systems. With collection quests and nice drops from NPCs in the game and coming up, we’ll be integrating solutions for inventory crowding, such as stacking quest items, items that do not take up inventory space, etc. basically to make things easier on you, especially with the big Winter event! In case you were curious, the OneX6 Key will be resellable after the 11-11-11 event ends, but also keep in mind it will never be offered again. Delta V’s mountain dwellers are a proud warrior people, more used to utilizing guerrilla tactics, or Beast Riding than the decisive and clean killing style of the Shadow Guard. 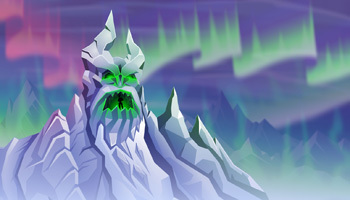 Many of the Krampus were wiped out after Baelius decided to use mountaintop reveal mining on their homes. In an attempt to garner mercy for her people, the King Krampus Andra the Merciful went before Baelius, but her cries were met by the executioner’s blade. Following her death, the Krampus, led by Andra’s widower and infant son, took to running and hiding to escape Baelius’s devastation. During the Rebellion many years later, some Krampus thought it wise to ally themselves with the Legion as the Guards promised safety to any Krampus who did so. Others, due to the horrors they were subjected to under the Legion joined Oz and the Uprising. Andra’s son, King Callan the Decent, took a true neutral stance until his death during the Haze of Iwona, when an Uprising faction led by Oz’s right-hand man Royce Armand devastated a Krampus village. 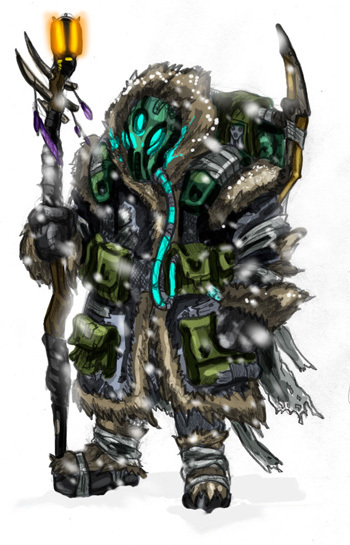 Since the Exile, the Krampus have mostly been ignored by Baelius’s forces- the Arctic Guard remains to threaten and control them, but are unable to bring true devastation, and under the rule of the young King Alaric the Technologically Inept they have been able to rebuild their culture- including the resurrection of the ancient art of Beast Riding. Because of their ability to control and train the wild creatures- colloquially known as “yeti”, as well as the corrupted versions you know as Hazards. The next content update will introduce you to the first Krampus you meet, and you’ll be able to purchase some Krampus weaponry for credits! 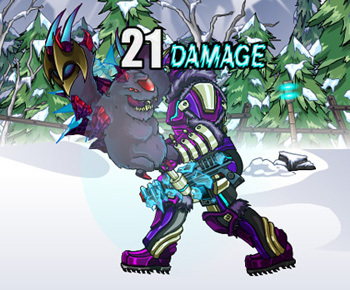 If you have some varium, you’ll be able to enter battle with your own Baby Yeti! 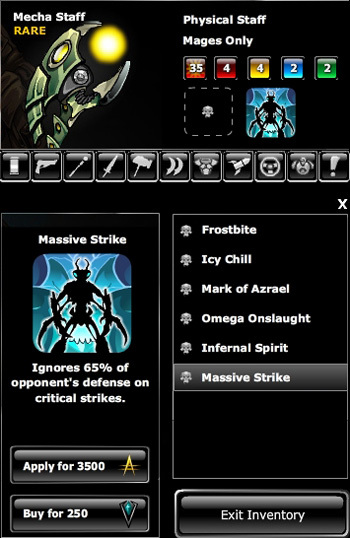 If you’ve suffered any inconvenience due to the stat error on the Elite Big 50 or Wraith Repeater, please PM one of us on the ArtixEntertainment forum so we can rectify this issue manually. You may or may not know that, in addition to my development and moderating duties, I’m a graduate student. I am turning the DNs in and leaving right for class, so expect a fact about zombie insects for the next DNs!